as we take the next big step in starting our lives together as a married couple. Please refer to this page for event details, hotel & travel information, directions, and other important things to know. If you are coming from out of town, we also hope that you get the opportunity to enjoy the city of Boston as much as you can. Our wedding ceremony will be at the Seaport Wintergarden, a beautiful open space featuring modern architecture magnificently bathed in natural light. It is located in the seaport part of the city, adjacent to oceanfront docks with impressive panoramic views of Boston Harbor. Ever been to a wedding reception where you sip cocktails with penguins? We wanted our big day to be special to us in its own fun and quirky way, so we chose this favorite spot of ours (but please, no taking penguins home). Reception will also take place on the Harbor Terrace, a waterfront setting with beautiful ocean views. Located on the waterfront with beautiful city and harbor views. We recommend staying here if you would like to be conveniently next door to our wedding ceremony location. Located in the heart of the downtown and perfect for exploring the city. Steps away from Public Gardens, Theatre District, Chinatown, as well as many historical sites and attractions. Don't rent a car. Confusing roads and lack of parking in the city may be less convenience than you bargained for. Boston has excellent public transportation, and cabs are everywhere. Boston's robust public transportation system is called the T. There are 5 major lines for getting around the city: Red Line, Green Line, Blue Line, Orange Line, and Silver Line, all with stations all over the city. View the T subway map and learn more here. If you don't want to take the T, cabbing from point-to-point around the city will typically be much less than the cost of renting a car and paying for parking garages. Walking is oftentimes the best way to get around. 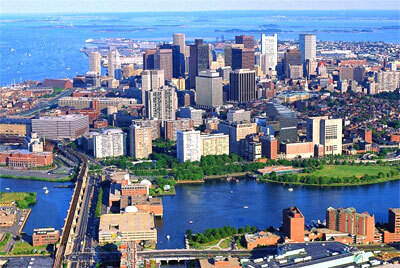 Unlike some other major cities, Boston is actually very compact. Getting to where you want to go might only be a nice 20 minute walk away. We recommend using Google Maps to look up walking distances. Boston is an incredibly interesting city to explore. Read our 'Things do to around Boston' blog post for guide for our suggestions of ways to experience Boston. Site Development by Frank Lo. Published Spring 2012. Engagement Photography by Chris Hwang.